When the invite to Leeds GovJam landed in my inbox, I was intrigued but unsure what to expect. A quick google search was it all it took to realise GovJam was definitely worthwhile - a global event which brings together people from across all sectors to collaborate on user centred public service design. Right up my street. However I really had no idea how you actually go about jamming to create public services instead of songs. What I discovered over the two days of Leeds GovJam is that jamming is mainly about passion and enthusiasm. You just need to swap the guitars, drums and microphones for plastercine, Lego and getting out and talking to the public - you can create some pretty amazing things! 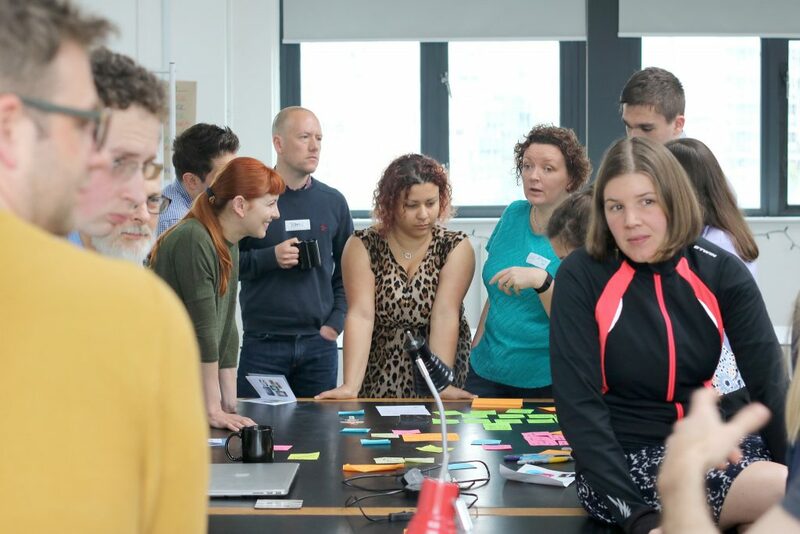 The Leeds GovJam is part of Global GovJam and this year there were simultaneous jams on five different continents in places from Melbourne to Miami via Rotterdam and Riyadh. 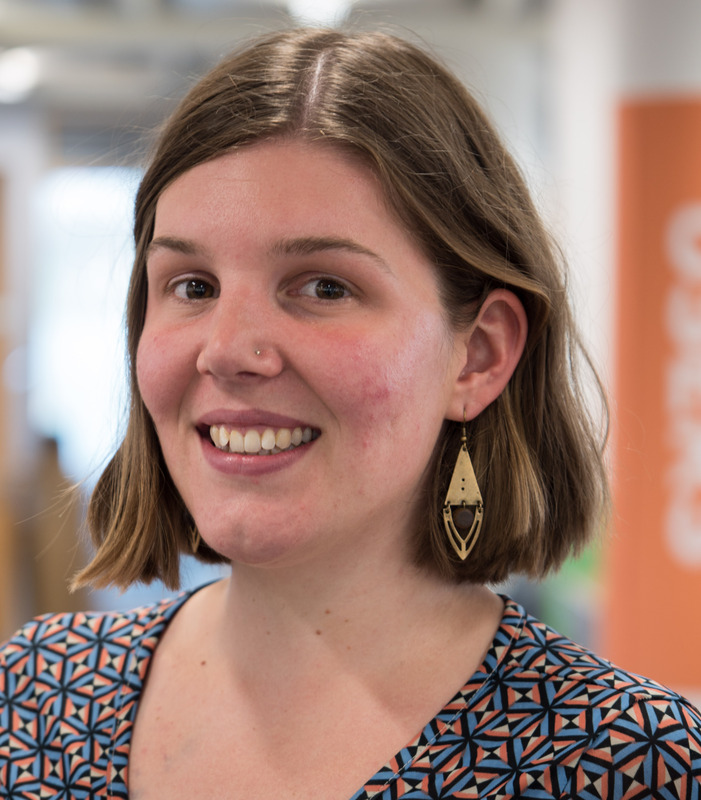 Leeds was lucky enough to be the host for the Global GovJam HQ this year, including the guys that hosted the first ever GovJam, which meant the room buzzed with experience and excitement. All the jams around the world work on the same theme and because of differing works schedules and time zones there was a lot of emphasis placed on keeping the theme secret from the other jams. The suspense was pretty high by the time the theme was revealed to our group, just what was going to be the thing that would inspire us to design innovative, people-centred prototypes?! I think the only words to describe the room after the seeing the video was a stunned silence. None of us felt able to spill the beans as we weren’t quite sure what we’d seen! We quickly took up the offer to see it again and re-watched the image of a few black rings on a white background, some interlinking, others on their own which dissolved (or depending on who you talk to zoomed in/distorted) into a few black and white pixels before coming back into focus with the same image of rings. That was it. It must have lasted 10 seconds max. We all quickly wrote down our initial thoughts and started looking for themes. Soon it was obvious the video made us all think around the themes of connections, breaking things, connectivity and communities. In true agile fashion, we self-organised around the theme that interested us most, I chose connectivity, the video reminded me of poor wifi connection and I wanted to see what that thought could blossom into. With the help of the amazing facilitators we discussed what connectivity means to us personally and public services more broadly. At this point we got to probably the scariest but most enlightening and worthwhile part of the two days. Getting out of the room and actually talking to people! We had come up with a couple of open questions to help us determine where we should focus our efforts. Heading out onto the streets of Leeds, our interactions with people were varied but all really enjoyable and our discussions yielded ideas that we hadn’t expected. These insights took our ideas down a new path and we got stuck into designing a service to meet the need that people had hinted at. In our case that was being able to report problems they saw in parks and open spaces. The jam challenged us not to just think about the problem but create a prototype service that could be a solution. With the freedom to experiment, fail fast and follow the user insights, we created personas, built a plastercine scenario to act out and drew a model website on card. Using an app called Pop App we created a prototype website from our hand drawn pictures (follow the link to check it out!). We decided that as the best part of our work so far had come from the user insights, we needed to get back out onto the streets, this time with our prototype website and test it with real people. Even though we had only been working on this for a day, exposing our baby to the public was a nerve-racking experience. It highlighted how important it is to talk to users constantly, it’s easy to get precious about something and end up creating something that users don’t actually need. Again, the user research was illuminating and we were able to iterate the website to better meet people's needs. We felt like we had definitely produced the best possible thing! Our jam really did feel like a global and connected event, we Skyped with the Miami and Birmingham jams as we were working; sharing ideas, advice and enthusiasm. It was amazing to see how the theme had sparked such a variety of ideas around the world. There was Cargo Cuisine in Melbourne helping new migrants create their own social enterprises via a pop-up restaurant and Building Brno in the Czech Republic that designed a government service which links run down flats with DIY courses. Unsurprisingly the GovJams in Brazil saw the Olympic rings in the theme and there were a number of projects focused on services for the Rio 2016. 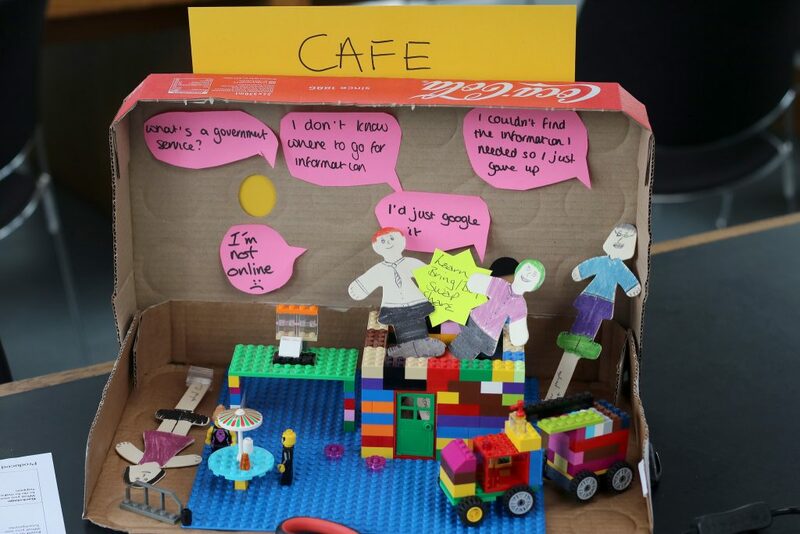 The Leeds GovJam was a wonderful experience, it showed what is possible when you get out of the office, speak to users and work in an agile and iterative way. Working with new people from different departments, organisations and even sectors in such a creative, fast-paced environment built more meaningful relationships than just networking and led to real connections. If you get the chance to participate in a Jam event, you should grab the opportunity with both hands. It’ll be the most inspiring thing you do all year. Thanks to @lisajjeffery for use of her photographs in this blog. See more of Lisa's photos from Leeds GovJam 2016 on her Flickr page.